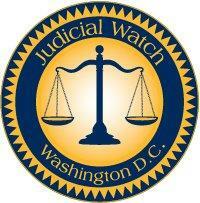 WASHINGTON, Aug. 3, 2018 /Christian Newswire/ -- Judicial Watch announced today that it filed a Freedom of Information Act (FOIA) lawsuit against the U.S. Department of Homeland Security (DHS), the Department of State, and the U.S. Department of Defense for all records of communications regarding anti-Israel group Boycott, Divestment and Sanctions' (BDS) efforts to lobby the Obama administration adopt policies to harm companies doing business with Israel (Judicial Watch v. U.S. Department of Defense (No. 1:18-cv-01721)). All emails to or from current or former officials in the [DOD, DHS, or State] Office of the Secretary containing the phrase "boycott divestment and sanctions." All emails to or from current or former officials in the [DOD, DHS, or State] Office of the Secretary containing both the terms "BDS" and "Israel."